• We are an RN owned and operated home service agency with over 15 years experience in the home health industry, providing in-home care, AT HOME WITH YOU. We are licensed by the State of Illinois and exceed, or meet, the legislative requirements of the State. • We provide a registered nurse with home care experience to perform a complimentary in-home assessment with safety recommendations. • Our Caregivers provide personal care and assistance with daily living activities for you or a loved one at your home, retirement community, nursing home, hospital, or rehabilitation center. 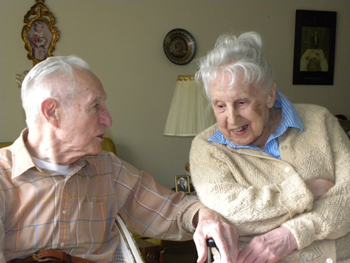 From Alzheimer's and dementia support to respite care and companionship, our Caregivers are there for you. • There is never any long term contract to sign, or minimum number of hours. Our Caregivers are available from one hour to 24 hours a day! • We provide 24 hour support, 7 days a week. • A registered nurse with home care experience will develop a personalized plan of care with you and manage it. • Our compassionate and reliable Caregivers are thoroughly screened, trained, and supervised by a registered nurse with home care experience. Many are Certified Nursing Assistants. • All of our Caregivers have passed extensive criminal background & reference checks, drug screening, are legal to work, and are registered with the Illinois Department of Health, Health Care Worker Registry. 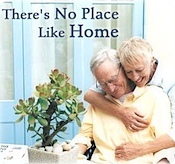 • All of our Caregivers are AT HOME WITH YOU employees, they are insured and bonded. We pay worker’s compensation insurance and withhold taxes.